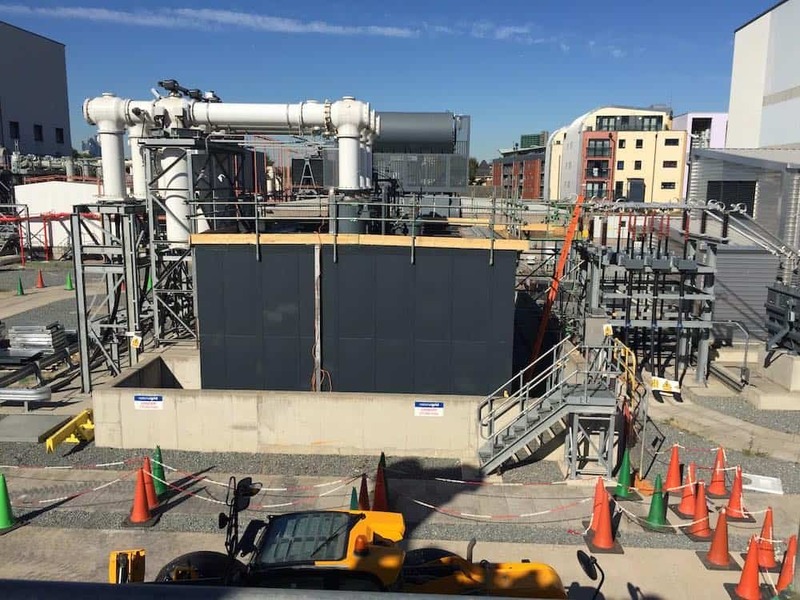 The Kimpton Acoustic team, working with our partners at GE Grid Solutions, have been busy working on a project at New Cross Substation in the East End of London to enable access for work to be undertaken on the 275kV transformers which were installed as part of a major infrastructure reinforcement scheme to support Network Rail as part of their railway electrification work. 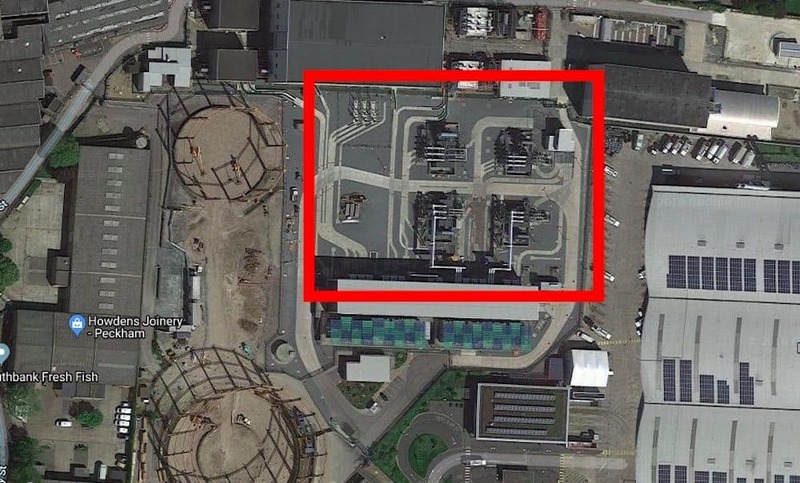 In order to keep the site compact, gas insulated switchgear (GIS) is installed on this site and can be seen as white painted pipes in the photos. 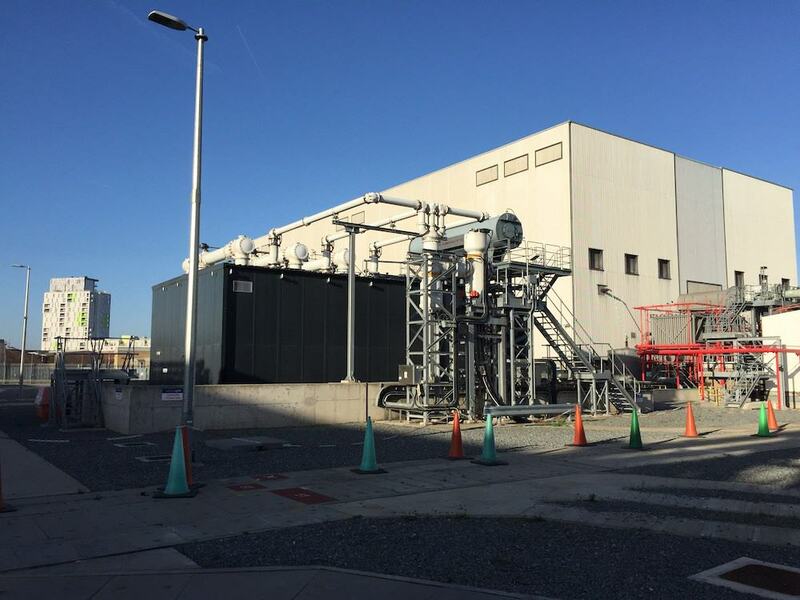 GIS technology has revolutionised substation design globally and where space is at a premium it really comes into its own because installations can be made more compact without problems arising with impressed voltages. 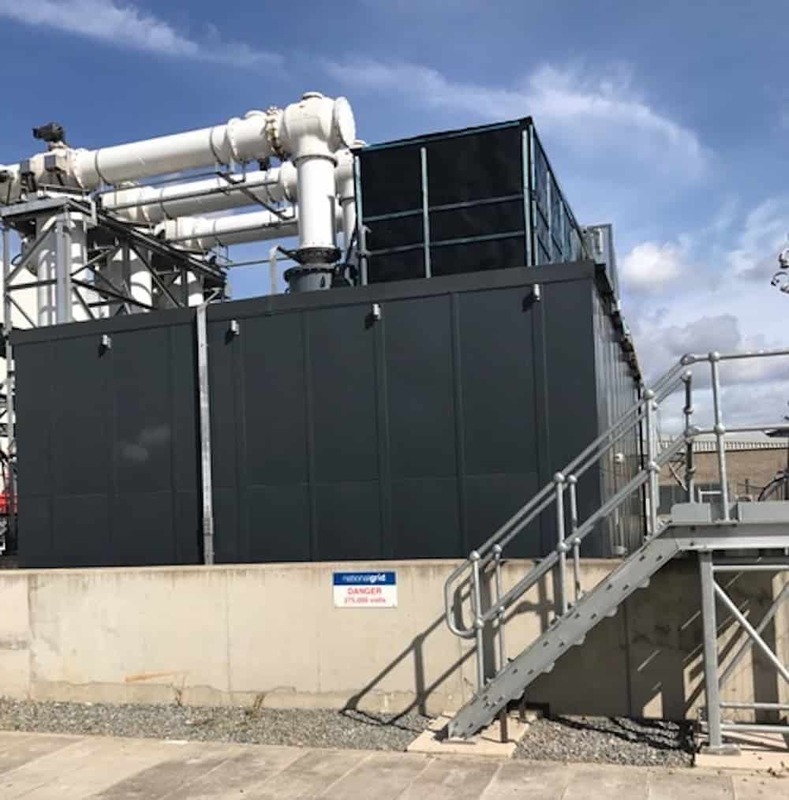 The New Cross site is relatively big for an inner city substation, and of course in London any land area is in limited supply so a neat, compact design was essential. The first phase of work on site was implemented as part of the masterplan for improving the electrical supply stability in London back in 2014 and development has continued since. Even back then, it was planned for further growth in 2021 and it’s likely to expand further as the city’s power demand grows and the parallel demand from electrified railways grows further. 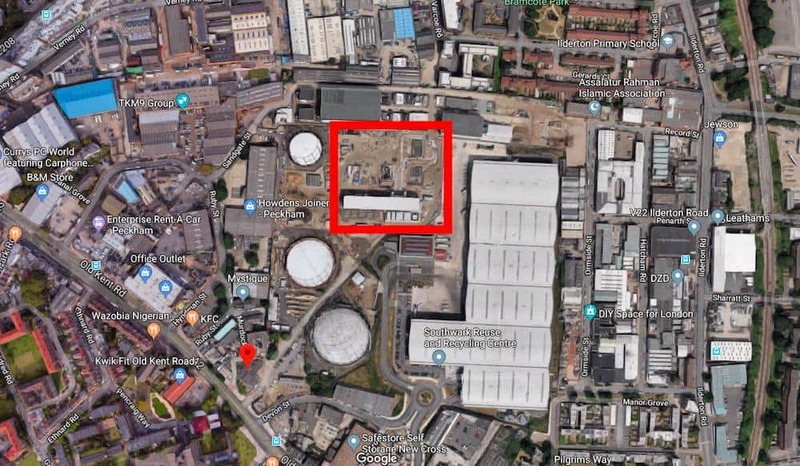 Inevitably, with a city based substation, housing and office developments are being built close to the edges of the site. Noise would therefore be a major issue without the additional noise suppression that our high performance acoustic enclosures provide. The role of The Kimpton Acoustic team in this recent work was to carefully remove the roofs of the previously installed enclosures from around the installed apparatus, allowing access to the transformers for National Grid’s specialist engineers to carry out their work on them, before zipping them back up again. Careful planning is always required for safe execution of works, but never more so than when working on Grid operational sites – known as working “Under Rules.” The dedication and professionalism of the Kimpton team meant that disruption to the power network was minimised, and another complex piece of work was completed safely and efficiently. We hope to see you all again soon on the next new installation!